Life On Team|| K4K at the Keswick Convetion - CounterCultural. CounterCouture. From 19-25 July, my sister and I did something that some people would consider slightly crazy. On Saturday 19 we were up by 4.30am to board the 5.43 train from Bath to reach Keswick, which was delayed by an hour due to thunder but we made it in the end. The reason for the early rise… we had to be in Keswick by 2pm for the start of week on the children’s team for the Keswick Convention – sorry to all of you who are most likely bored by my continual chatter on the subject. My Three Musketeers: Charlotte, Steff and Robbie. This year was my fourth year on the Keswick4Kids (K4K) team and I was being joined by my sister for the first time… which led to Robbie naming 2014 the year of the Steffie. And a fantastic year it was! But first a quick introduction to K4K. Steff (aged 5) and I (aged 9) started going to the Keswick Convention back in 2001 so we grew up with the annual excitement of K4K. Now we’re both on team with some of the leaders who made our childhood holidays at the Convention so much fun. The children’s work at Keswick runs from 3 through to 11 years old and is split into groups. This year I worked with the 6-7s in the morning, A.K.A. the Planets, and the 8-11s in the evening, when we became the Keswick Campfire Scouts. This was my third time as a 6-7s leader and I have to say they have become one of my favourite age groups to work with. This year round I was the leader for Saturn- the children are split into small planet-named groups- and had 11 children. Fortunately we had helpers in the morning so I had the wonderful Ross to assist me, even if he was really capable enough to have his own group. Of course, I had the best group of kids who were eager to join in with the crafts and games. We were studying some of the Psalms throughout the week and the children seemed to lap it up. I think that is one of the biggest joys and pulls for those who return to be on team. Explaining any part of the Bible to children and watching them develop their own understanding of the Gospel is incredible. I can’t explain it beyond that except that it makes spending two hours a day in a boiling marquee worthwhile. 8-11s in the evening is a little less busy as it’s the only kids group running and almost all the team are involved. As the Keswick Campfire Scouts, all the activities had a scout-theme and we were working towards a new badge each night. From the Christmas badge to the Telling Others badge, we worked through Luke’s Gospel with the children. And then there was the silliness that followed. From getting soaked in the example round of Splashdown- get enough quiz questions right and you win protective clothes and toilet paper before being ‘splashed’- to singing ‘Let It Go’ from Frozen as group karaoke, the evening programmes are fantastic fun for 8-11 year olds. Or those with a similar mental age… so most team members. Esther and I chilling before Jonathan Lamb’s talk. And when we weren’t working with the children, joining in action songs or making fools of ourselves, the team managed to have some down time and teaching for ourselves. 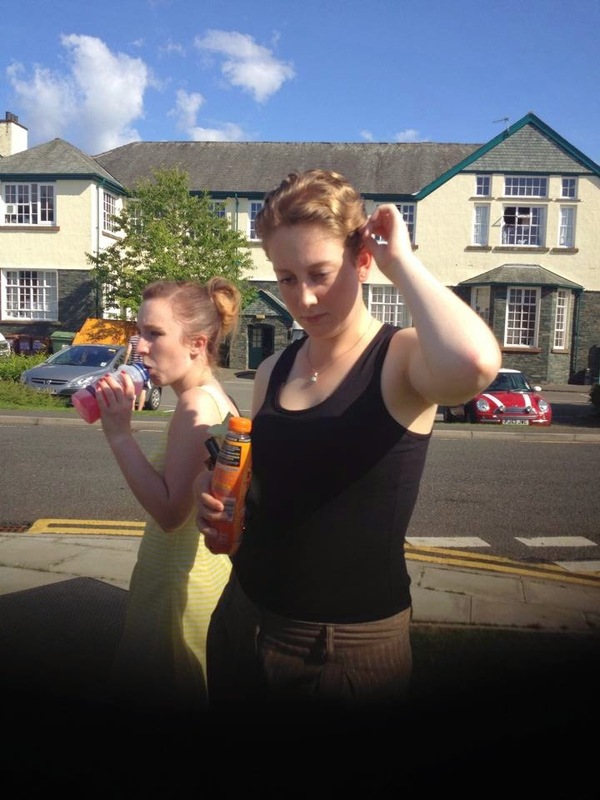 Each afternoon we were able to have just over two hours free time to chill and explore Keswick. Considering that we were staying in a town built along a lake, most of this time was spent walking by the lake, sitting by the lake or swimming in… yes, the lake. Not to mention a large amount of ice cream being consumed. I spent a large number of these afternoons with Steff, Robbie, Charlotte, and Fraz. Not to mention having a chance to chill out on the Wednesday afternoon while we watched the first ever kids team vs youth team football match. To be fair, most of the boys played while the rest of us sunbathed and chatted. We are also lucky enough at K4K to have the main speaker in the main tent give us a shortened version of their talk each afternoon. Even though we do tend to be exhausted by this point, having speakers such as Jonathan Lamb give up part of their afternoon to talk with us is a great opportunity. So, normally after a quick co-op lucozade run, we walked through each day’s psalm with Jonathan. No matter how much I love kids’ work, it was refreshing to have teaching aimed at adults rather than children. Keep your eyes peeled as I’m hoping to share some of my notes from the talks. 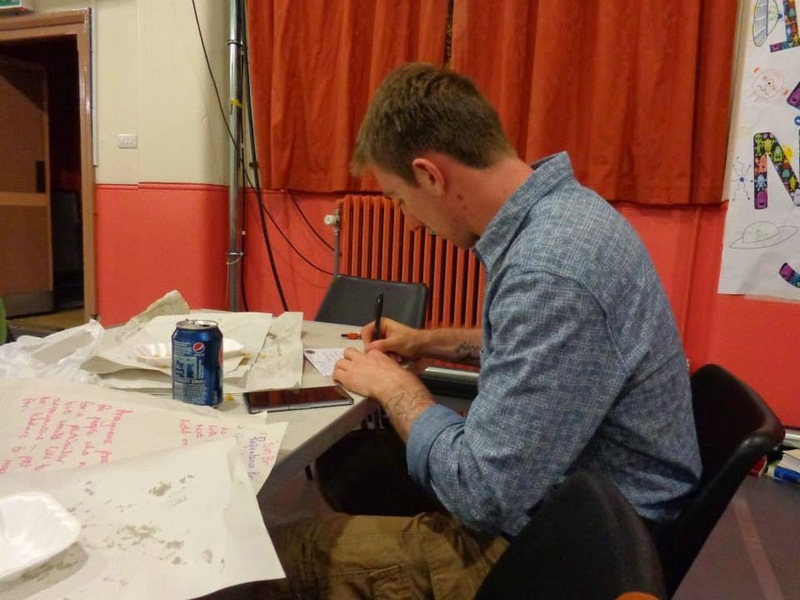 Robbie finishing his postcards amidst the chips and prep. The evenings, after the 8-11s programme, also gave us some free time. Used for prep for the next day, eating chips from the Old Keswickian, playing silly games and chatting away the hours, this is when the team spends time together as a group. The first night we played ticket to ride, which involved everyone taking on a train station and one person standing in the centre of the circle blindfolded with a pillow. As two stations were called out, they had to switch places without being hit by the blindfolded ‘Fat Controller’. What can I say, K4K members have a tendencies to act like those who they work with. Other nights included checking out Earthworks, for the mission organisations and bookshop, and building pyramids. So that’s life on team when on K4K. Fun, laughter, hard work but most of all teaching. As I’ve been told every year, we’re not there as babysitters, we are there to teach the children. And there is no greater honor than to help a child come to know Jesus. 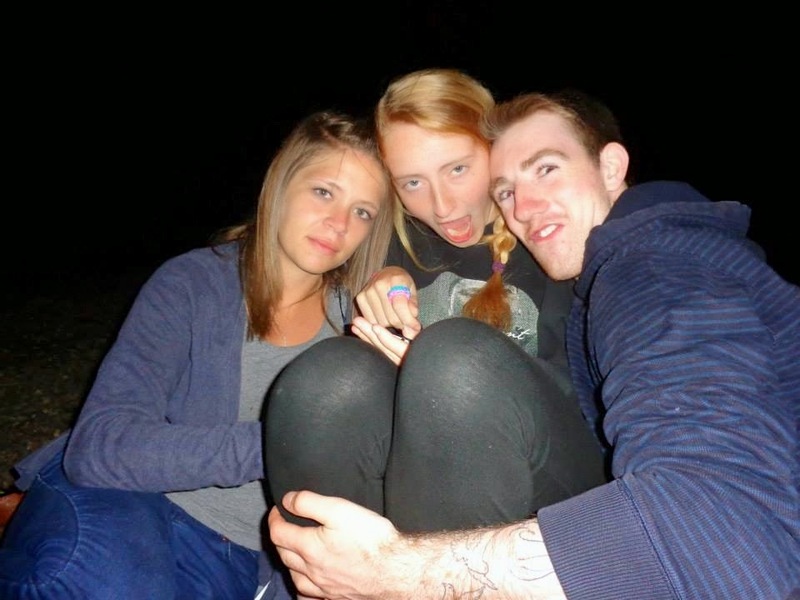 Fraz, Charlotte and Steff enjoy some lake down time. 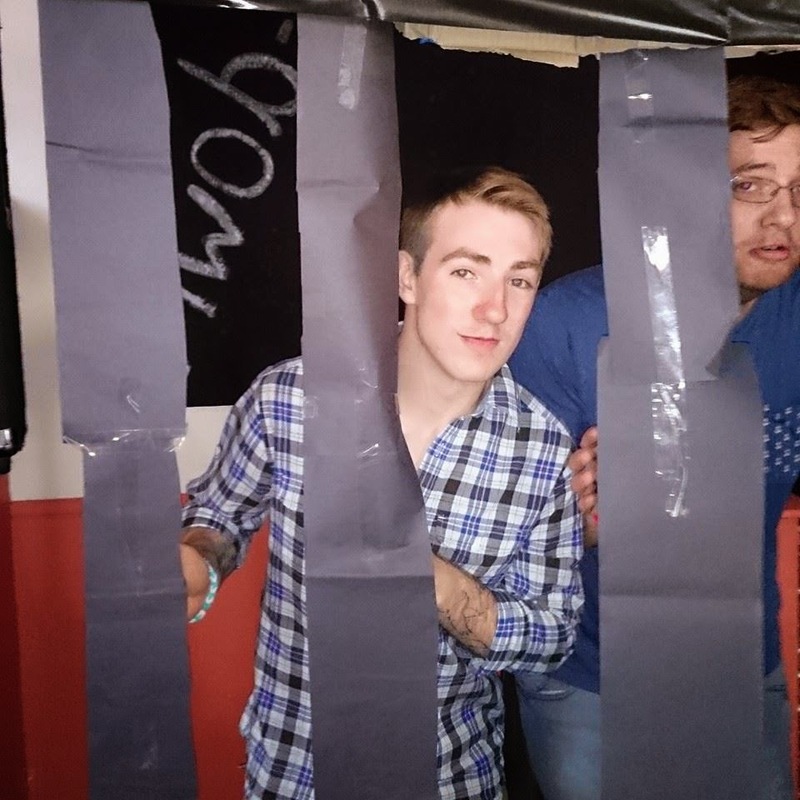 Robbie and Dave were proud of their jail for week 3… if slightly tired.